“Equity Release” or “Later Life Lending” as we like to call it is simply a way of getting cash from the value of your property, without having to move out. When retirement finally comes around, some people are not in a financial position to fulfil their retirement dreams and some even struggle to make ends meet. Later Life lending enables people to release some of the money locked up their home for any purpose they wish. Whether you need a little financial help each month, want the holiday of your dreams or would like to help a family member buy their first home, our qualified advisors are on hand for a chat about your individual circumstances. Our advisers work in a completely unpressured environment, sometimes clients even bring a family member or friend along to the initial meeting to ask questions and get a 2nd opinion. 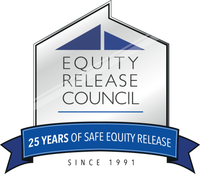 Mortgage Required are members of the Equity Release Council who were set up by the government to set high standards in this area of the market. All our products have a no Negative Equity Guarantee which means you will never owe more than the value of the property. Interest rates are fixed or capped for the life of the loan. and start enjoying your retirement. If you know of anyone who would benefit from Equity Release, please do pass on our details. 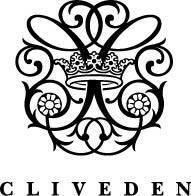 If they then proceed to completion, we would be very pleased to send you and a guest for a luxury afternoon tea at Cliveden House in Taplow by way of a thank you from us. This is a lifetime mortgage to understand the features and risks, ask for a personalised illustration. There will be no fee for Mortgage Advice. There may be a fee for arranging a mortgage. The precise amount will depend upon your circumstances, but we estimate it to be £599.